You think that you have mastered the art of RSS, but how much do you really know? Take the RSS quiz to test your knowledge of RSS. When using RSS2SQL script the publisher has complete control over the content in the resulting database. Administrators and publishers control which RSS feed fields are used in the database, giving them the flexibility to determine what data is inserted into the database. RSSFilter, allows you to filter the contents of an RSS feed and results in a new feed.Use rules to filter the contents of an RSS feed. While many have resisted the urge to decipher the meaning behind the acronym RSS, the vast majority of technically knowledgeable online surfers have begun incorporating RSS into their daily routines. Why go through the hassle of understanding something new, the novice might want to know? Because it saves time, and time is a precious commodity these days. The contents of an RSS feed can be read any number of ways. 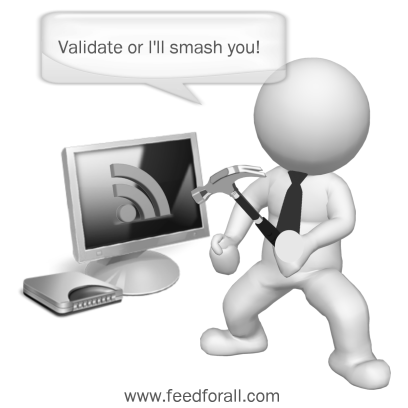 A variety of tools, both fee based and free, to read RSS feeds are available on the Internet. In the first step of the Feed Creation Wizard, left click on Next. In the next step, the wizard will ask what type of feed you would like to create. There are currently three available options: Standard RSS Feed, Standard Podcast, and iTunes Podcast. Listeners can retain audio archives to listen to at their leisure. While blogs have turned many bloggers into journalists, podcasting has the potential to turn podcasters into radio personalities. Although podcasting is new, it is well on its way to becoming a mainstream communication medium. Podcasting, simply put, is audio files that are delivered via RSS. Many people believe that podcasting is solely for the distribution of music files, but really, nothing could be further from the truth. This emerging method of audio file distribution has opened an array of marketing and communication opportunities to businesses. Currently, most who are familiar with podcasting are technically savvy, but it is clear that podcasting will be more than a passing fad as many businesses are adopting podcasting and employing it in unusual yet powerful ways. Podcasting can be used for talk shows, tutorials, music demos, educational training, stories, comedy clips, debates or even foreign language tutorials. RSS also known as rich site summary or real simply syndication, arrived on the scene a number of years ago, but was only recently embraced by webmasters as a means to effectively syndicate content. RSS Feeds provide webmasters and content providers an avenue to provide concise summaries to prospective readers. Thousands of commercial web sites and blogs now publish content summaries in an RSS feed. Each item in the feed typically contains a headline; article summary and link back to the online article. RSSFilter is a PHP script that filters the contents of an RSS feed. The filters can be defined by the publisher so that the resulting RSS feed contains only the information they want. RSSFilter uses rules to filter the items that are included from a feed in the resulting feed. If you are creating a podcast or video feed you will need to include the appropriate mime type, the proper format is indicated below. Aggregator -Two main types of aggregators: web-based aggregators and desktop/software aggregators. Web-based aggregators allow individuals to subscribe to feeds online and read feeds in a web browser. Not surprisingly, ideas for blog posts or RSS feed items originate or are influenced by other web content. The sql2rss.php script allows you to easily create rss feeds from SQL databases. The script currently supports the conversion of MySQL databases to RSS feeds.